Wonderful natural lighting and Cathedral ceilings! Almost 4000 Sq Ft of finished living space! 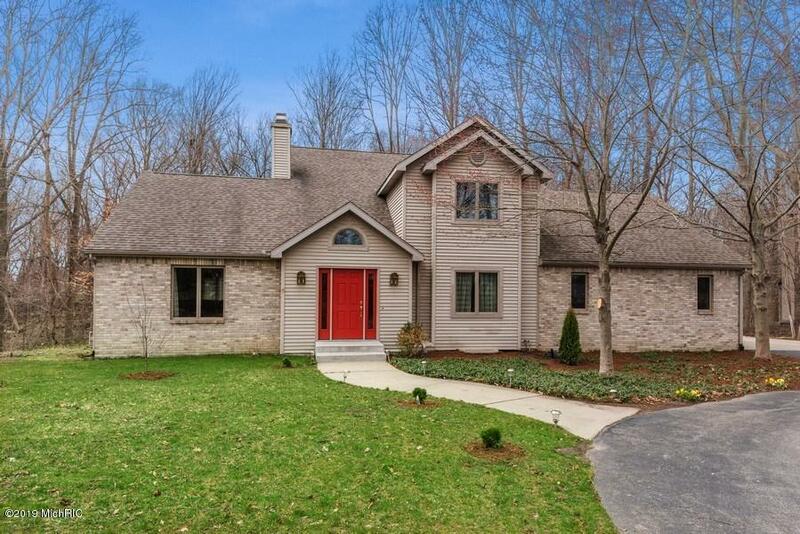 Beautifully secluded 4 bedroom 3.5 bath home in desirable St. Joseph neighborhood. This well maintained home features a light filled spacious kitchen with fantastic ravine views. Kitchen boasts newer Jenn-Air appliances, center island and eat-in area. A 30' x 16' great room adorned with vaulted ceiling, gas fireplace and large picture window showcasing tranquil ravine view. Walkout basement finished w/ large family room, rec room, full bath & bedroom. Convenient location to City of St. Joseph, I94 and US31. New roof in 2010, new hot-water 2014. Don't miss out!